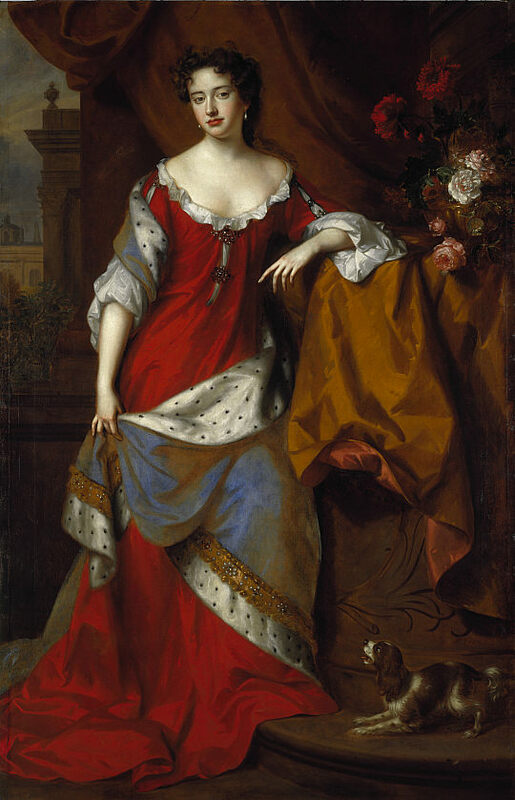 Today is the birthday (1665) of Anne queen of England, Scotland and Ireland between 8 March 1702 and 1 May 1707, and under the Acts of Union of 1707, two of her realms, the kingdoms of England and Scotland, united as a single sovereign state known as Great Britain. She continued to reign as queen of Great Britain and Ireland until her death in 1714. She was, thus, the first and last Stuart monarch of Great Britain and Ireland. In fact, her reign saw a number of firsts and lasts. Anne was born in the reign of her uncle Charles II, who had no legitimate children. Her father, Charles’s younger brother James, was thus heir presumptive to the throne. James’s suspected Roman Catholicism was unpopular in England, and on Charles’s instructions Anne and her elder sister, Mary, were raised as Anglicans. On Charles’s death in 1685, James succeeded to the throne, but just three years later he was deposed in the Glorious Revolution of 1688. 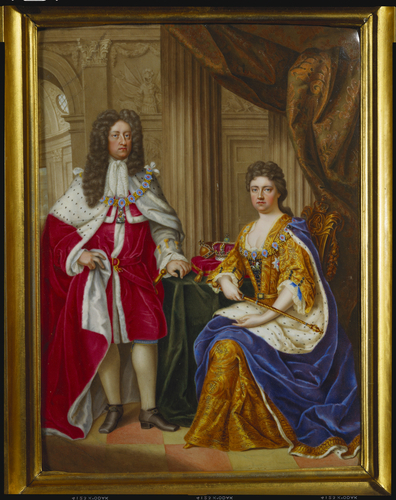 Anne’s sister and Dutch Protestant brother-in-law and cousin William III of Orange became joint monarchs. Although the sisters had been close, disagreements over Anne’s finances, status and choice of acquaintances arose shortly after Mary’s accession and they became estranged. William and Mary had no children. 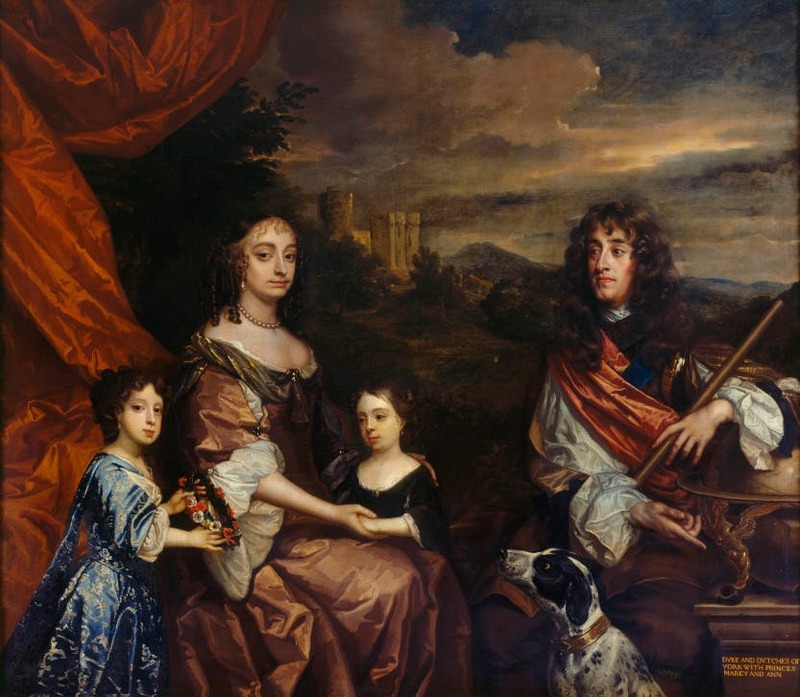 After Mary’s death in 1694, William reigned alone until his own death in 1702, when Anne succeeded him. During her reign, Anne favored moderate Tory politicians, who were more likely to share her Anglican religious views than their opponents, the Whigs. The Whigs grew more powerful during the course of the War of the Spanish Succession, until 1710 when Anne dismissed many of them from office. Her close friendship with Sarah Churchill, duchess of Marlborough, turned sour as the result of political differences. The duchess took revenge in an unflattering description of the queen in her memoirs, which was widely accepted by historians until Anne was re-assessed in the late 20th century. Anne was plagued by ill health throughout her life, and from her thirties, she grew increasingly ill and obese. Despite seventeen pregnancies by her husband, prince George of Denmark, she died without surviving issue and was the last monarch of the House of Stuart. Under the Act of Settlement 1701, which excluded all Catholics, she was succeeded by her second cousin George I of the House of Hanover. Despite name changes, the current royal family are direct descendants of George, and the change in public style from Stuart to Hanover at the end of Anne’s reign is palpable. Anne was the end of an era. Anne was the last monarch of Great Britain to exercise the right to refuse royal assent to an act of Parliament (the nominal equivalent of a presidential veto in the US). In reality, by Anne’s time Parliament was the de facto governing body of Great Britain, and royal assent was taken for granted, even though in those times it was formally given by signature in the House of Lords. Anne refused consent on the Scottish Militia Bill of 1708, but this was something of a legal technicality, not some independence of spirit, or the exercise of power. The Bill had passed both Houses, but the ministers had had a change of heart, thinking that the Scottish militia might be disloyal, and, therefore, advised Anne to withhold consent so as to derail the measure before it took effect. Anne was also the last monarch of Great Britain to formally touch people afflicted with scrofula (mycobacterial cervical lymphadenitis), commonly called the king’s evil, that was said to be cured by a touch from the reigning monarch. The practice peaked under Charles II who touched 92,000 people during his reign. James II was skeptical about the practice, but continued it. However, William and Mary thought it was a mere superstition and would not take part. Anne reintroduced the practice almost as soon as she ascended, touching 30 people on 6th October and 20 on 19th December 1702. She took it very seriously, even fasting the day before. On 30th March 1712, she performed the ritual for the last time. Samuel Johnson (1709–1784) was the last of the 300 scrofulous people Anne touched that day. George I formally discontinued the practice. Anne presided over an age of artistic, literary, economic and political advancement that was made possible by the stability and prosperity of her reign. In architecture, Sir John Vanbrugh constructed Blenheim Palace and Castle Howard. 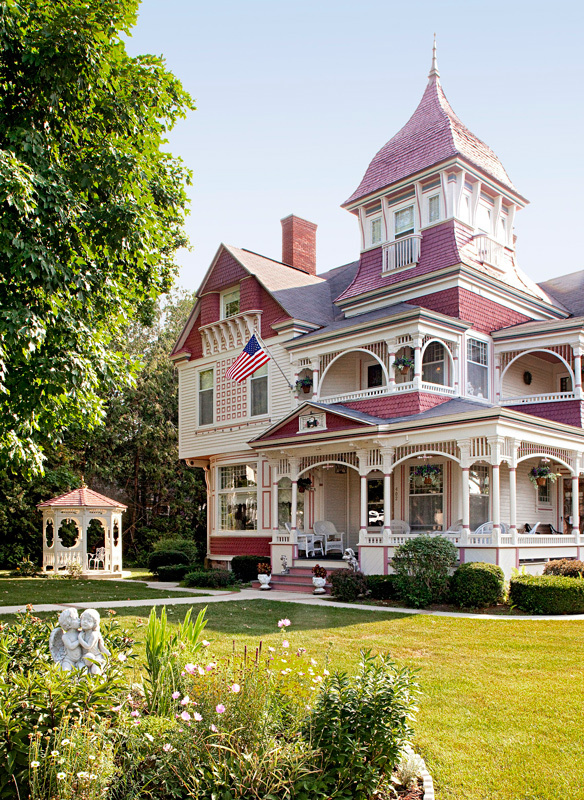 Queen Anne-style architecture and Queen Anne-style furniture were named after her. 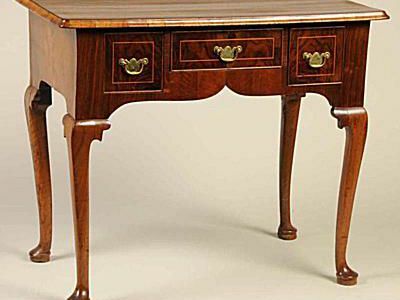 Writers such as Daniel Defoe, Alexander Pope and Jonathan Swift flourished. Henry Wise laid out new gardens at Blenheim, Kensington, Windsor and St James’s. The union of England and Scotland, which Anne had fervently supported, created Europe’s largest free trade area. The political and diplomatic achievements of Anne’s governments, and the absence of constitutional conflict between monarch and parliament during her reign, indicate that she chose ministers and exercised her prerogatives wisely. A number of places were named for Anne, including Annapolis in Maryland, Princess Anne county in Virginia (named before her accession), Queen Square in Bloomsbury and Queen Anne’s Gate in Westminster, both in London, plus a slew of others. 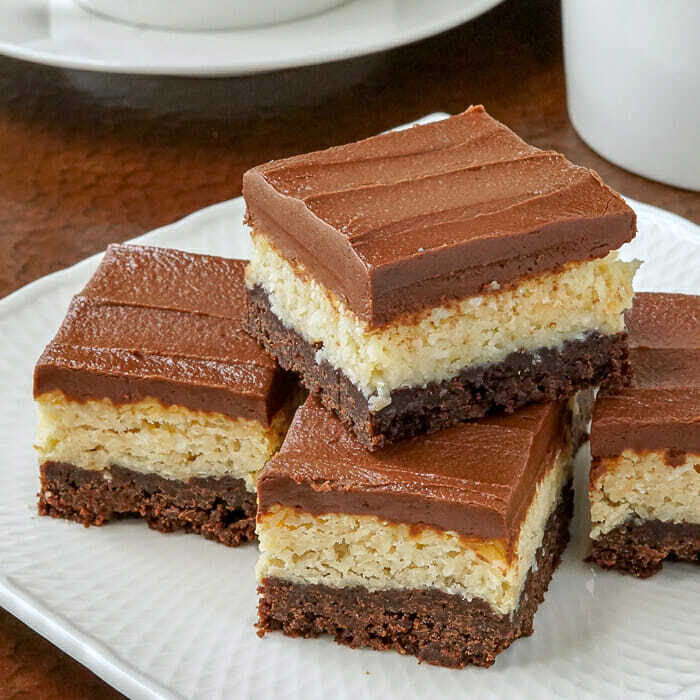 Then there’s queen Anne squares from Newfoundland, a three-layer bar of chocolate cake, coconut, and chocolate. Line a 9×9 inch baking dish with parchment. To make the bottom layer: In a large bowl, beat together the flour, butter, brown sugar, cocoa powder, egg, and vanilla extract. Spread the mixture in an even layer in the prepared baking dish. To make the coconut layer: Put the condensed milk, coconut, and vanilla extract in a clean bowl. Mix together to combine and gently spread in an even layer over the chocolate base. Bake in preheated oven until set and the edges are golden, 25-30 minutes. Allow to cool completely to room temperature. To make the chocolate layer: In a large bowl, beat together the powdered sugar, butter, cocoa powder, and vanilla extract. Slowly add the milk to create a smooth, spreadable mixture. Spread the chocolate evenly over the cooled layers. Refrigerate and then cut into squares for serving.